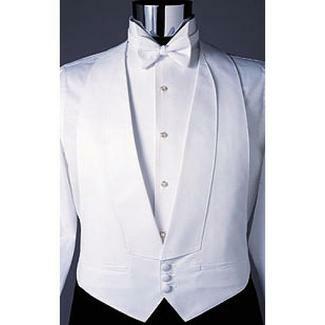 Men’s tuxedo shirt. 1/8″ pleat, wing tip collar. 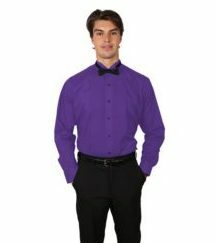 Men’s tuxedo shirt. Perfect shirt for waiters, servers, limo drivers, matre’d’s, choirs, and bands. 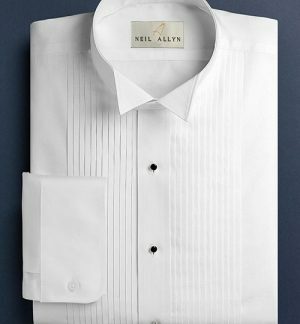 This shirt includes a wing tip style collar and is available from neck sizes XS (13.5″) – 5XL (21.5″) and sleeve lengths 30-39. 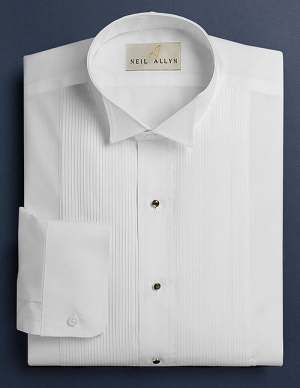 Style #501 From the Neil Allyn collection. 65% poly 35% cotton material and shown with a 1/8″ pleated front. This men’s tuxedo shirt is especially relevant to the service industry, including waiters, waitresses, limousine drivers, matre d’s, casino and banquet servers. Available in regular collar Style # 506 Furthermore, this shirt is priced right. In conclusion, these shirts are machine washable and very easy to care for.